داروی کوتریموکسازول برای پیشگیری از مرگ و میر و عوارض جانبی ویروس اچ آی وی از جمله عفونت های شدید باکتریایی، سل، ذات الریه، اسهال، مالاریا، و یا درمان محدود عوارض جانبی. پیشگیری از مرگ و میر نوزادان به دلیل بیماری مالاریا یا درمان پیشگیرانه متناوب برای مالاریا در زنان باردار استفاده می شود. کوتریموکسازول در کشورهای کم درآمد و نیز پر در آمد می بایست همراه با داروهای آرت یا آنتی رترو ویرال برای درمان مبتلایان به اچ آی وی بویژه کسا نی که سلولهای کمکی بدن آنها زیر 350 میکرولیتر یا پایین تر می باشد بکار برده می شود. زیرا سیستم ایمنی بدن این مبتلایان ضعیف بوده و آنان آمادگی هر گونه بیماری جانبی ناشی از عفونت اچ آی وی را دارا هستند. زنان باردار مبتلا به اچ آی وی در آفریقا باید برای جلوگیری از عوارض بیماری مالاریا در نوزادان از این دارو نیز استفاده کنند. کوتریموکسازول روزانه یک عدد با دوز 480 میلی گرم یا 960 میلی گرم به بیماران تجویز می شود. Co-trimoxazole prophylaxis is used to reduce morbidity and mortality in people with HIV. We systematically reviewed three topics related to co-trimoxazole prophylaxis to update WHO guidelines: initiation, discontinuation, and dose. We searched PubMed, Embase, WHO Global Index Medicus, and clinical trial registries in November, 2013, for randomised controlled trials and observational studies including co-trimoxazole prophylaxis and a comparator group. Studies were eligible if they reported death, WHO clinical stage 3 or 4 events, admittance to hospital, severe bacterial infections, tuberculosis, pneumonia, diarrhoea, malaria, or treatment-limiting adverse events. Infant mortality, low birthweight, and placental malaria were additional outcomes for the comparison of co-trimoxazole prophylaxis and intermittent preventive treatment for malaria in pregnant women (IPTp). We compared a dose of 480 mg co-trimoxazole once a day with one of 960 mg co-trimoxazole once a day. We used a 10% margin for non-inferiority and equivalence analyses. We used random-effects models for all meta-analyses. This study is registered with PROSPERO, number CRD42014007163. 19 articles, published from 1995 to 2014 and including 35 328 participants, met the inclusion criteria. Co-trimoxazole prophylaxis reduced rates of death (hazard ratio [HR] 0·40, 95% CI 0·26–0·64) when started at CD4 counts of 350 cells per μL or lower with antiretroviral therapy (ART) worldwide. Co-trimoxazole prophylaxis started at higher than 350 cells per μL without ART reduced rates of death (0·50, 0·30–0·83) and malaria (0·25, 0·10–0·57) in Africa. Co-trimoxazole prophylaxis was non-inferior to IPTp with respect to infant mortality (risk difference [RD] −0·05, 95% CI −0·12 to 0·02), low birthweight (0·00, −0·07 to 0·07), and placental malaria (0·00, −0·10 to 0·10). Co-trimoxazole prophylaxis continuation after ART-induced recovery with CD4 counts higher than 350 cells per μL reduced admittances to hospital (HR 0·42, 95% CI 0·22–0·80), pneumonia (0·73, 0·61–0·88), malaria (0·03, 0·01–0·10), and diarrhoea (0·61, 0·48–0·78) in Africa. 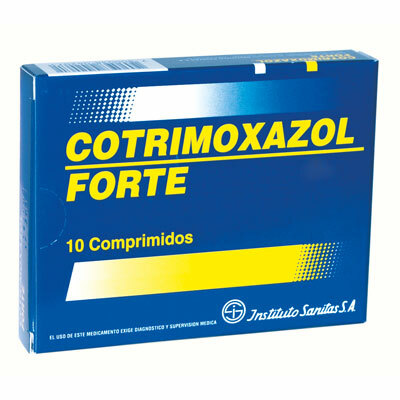 A dose of 480 mg co-trimoxazole prophylaxis once a day did not reduce treatment-limiting adverse events compared with 960 mg once a day (RD −0·07, 95% CI −0·52 to 0·39). Co-trimoxazole prophylaxis should be given with ART in people with CD4 counts of 350 cells per μL or lower in low-income and middle-income countries. Co-trimoxazole prophylaxis should be provided irrespective of CD4 count in settings with a high burden of infectious diseases. Pregnant women with HIV in Africa should use co-trimoxazole rather than IPTp to prevent malaria complications in infants. Further research is needed to inform dose optimisation and co-trimoxazole use in the context of expanded ART in different epidemiological settings. This entry was posted in English, Farsi / فارسی and tagged Co-trimoxazole, cotrimoxazol, HIV, prophylaxis, اچ آی وی, کوتریموکسازول by kiumars. Bookmark the permalink.